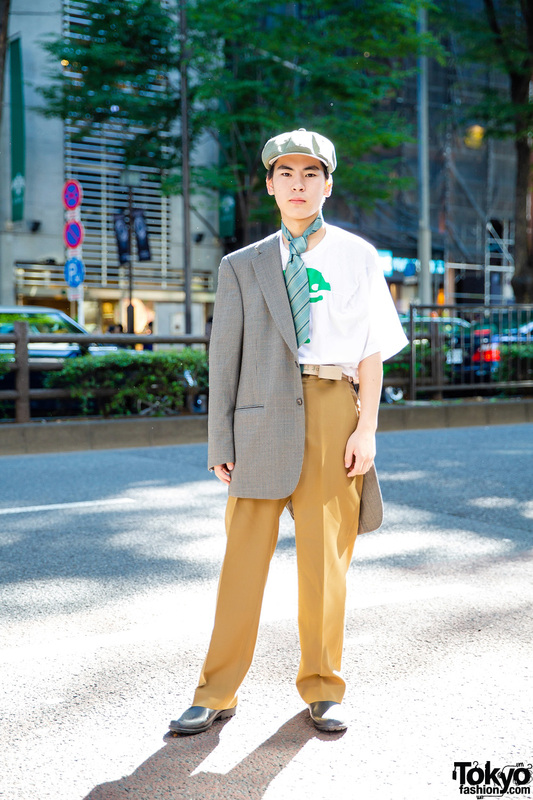 Harajuku part-timer sporting a vintage dapper look while out and about on the street one morning. 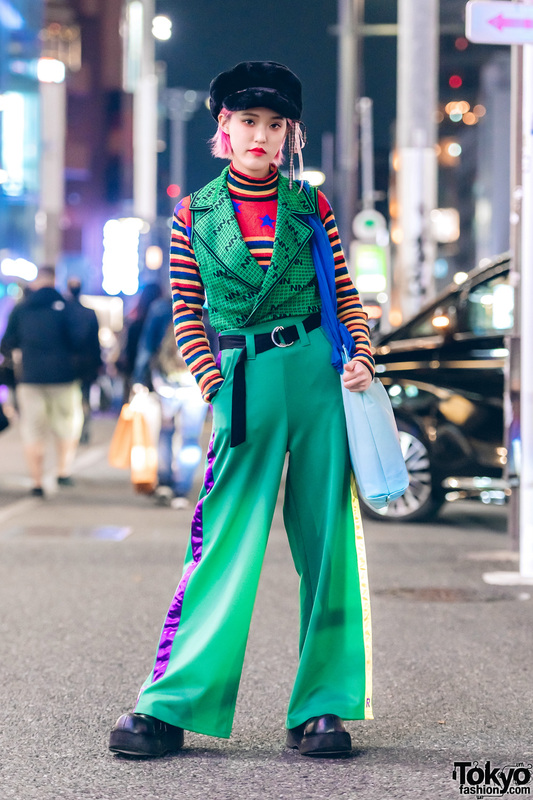 Pink haired Harajuku girl wearing a fuzzy hat with a green vest over a striped long sleeve top, green side stripe pants, platform shoes, and a “Tres Cool” tote bag. 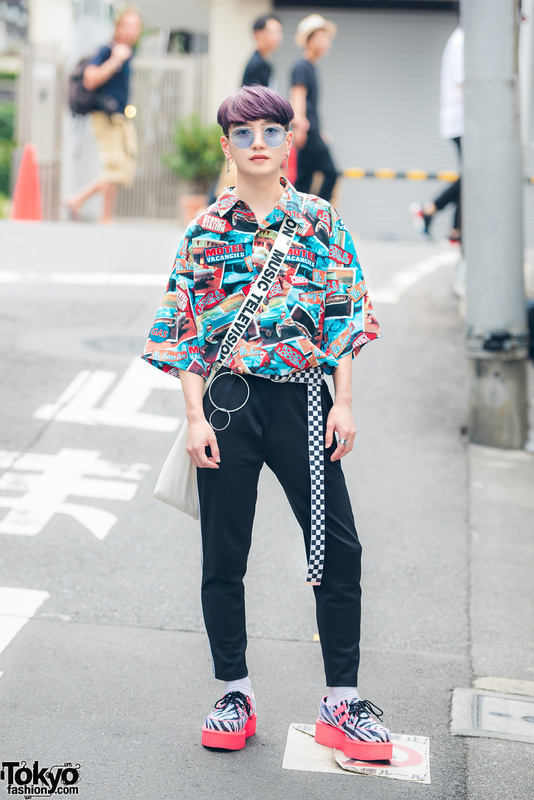 20-year-old Harajuku girl wearing a vintage kimono coat over a Little Sunny Bite long sleeve top, Kappa pants, and Gallerie platform sandals. 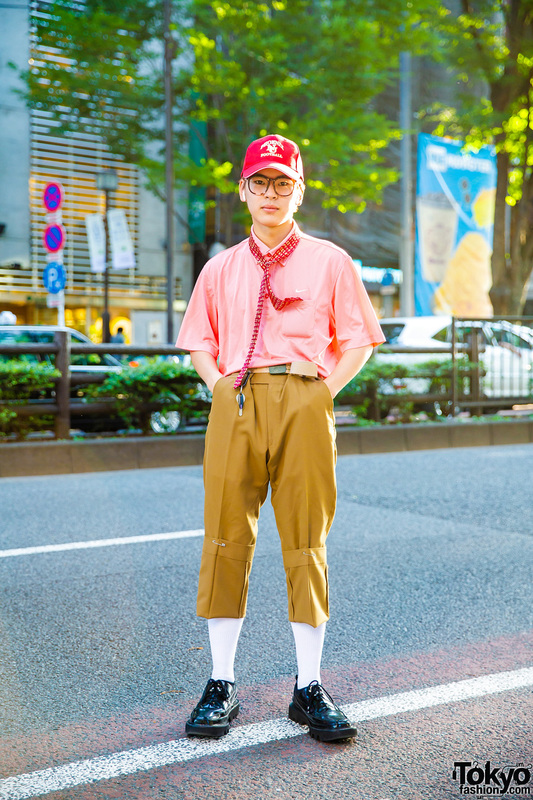 Harajuku guy wearing an colorful print shirt, black pants, zebra print pink creepers, checkerboard belt, and an MTV canvas sling bag. 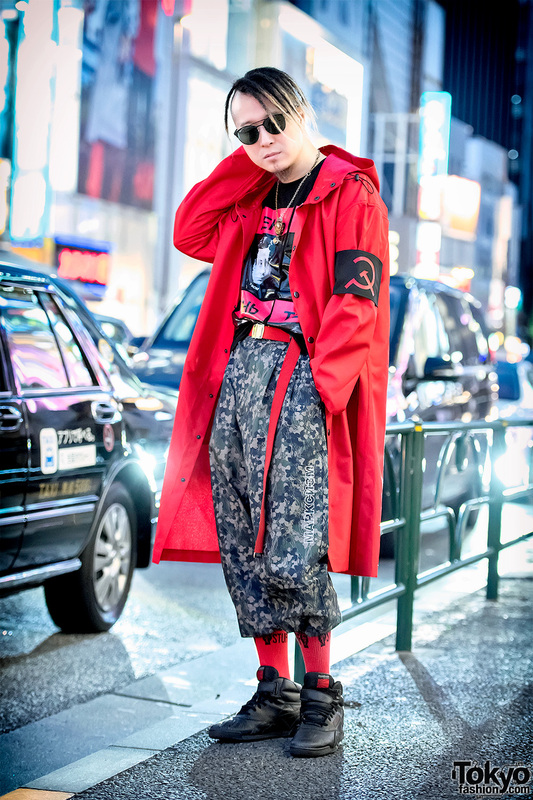 Japanese guy wearing a long red coat graphic shirt, cropped and belted print pants, red socks, and high top sneakers on the street in Harajuku.